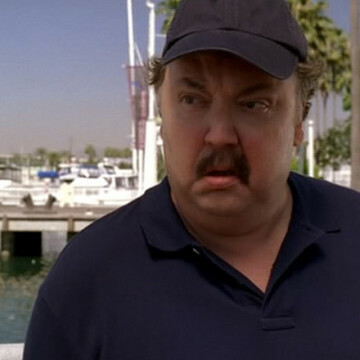 Mike Hagerty plays the part of an employee at a boat rental facility in S03E13, Less Than 30. Drama and Turtle speak with Mike’s character when in need of a large boat for Vince’s upcoming birthday bash. Catch him near the episode’s halfway point. Born in Chicago, IL, Hagerty is a television regular and played the part of Davy in 1999’s Wayne’s World.